Richard Lloyd, executive director of Which?, http://www.which.co.uk/ remarked, “Our research shows vulnerable people left scared, hungry and sometimes put at risk, and when things go wrong, it is family caregivers that bear the brunt, giving up their hopes and plans, even sacrificing their own health.” Many families in the UK are left feeling tired and depressed – not to mention frustrated. Without a reliable home care system or home care software program to guarantee quality care, more than half of UK families have serious concerns about the support being provided to their loved ones. Home care in America is far different than home care in the UK. With private sector providers and innovative technology – such as ClearCare’s sophisticated home care system and home care software – seniors are safe and enjoying exceptional care. A dependable home care system like ClearCare allows home care agencies to track each patient through their entire period of care. A web-based home care software also gives family members the chance to “see” what is taking place in their loved one’s home in real-time. Unlike UK residents that are suffering in their own homes, elderly American citizens are thriving. 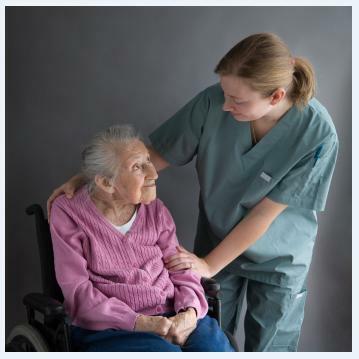 Home care agencies that utilize a home care system are able to monitor caregiver credentials and receive alerts when certifications are up for renewal – thus providing the most qualified and capable caregivers. User-friendly home care software, such as ClearCare, enhances patient care like no other home care system on the market. If you have concerns about the quality of your loved one’s care, be sure to team with an agency that utilizes premier industry tools for transparency, like ClearCare!